I'm sure that some of you have noticed that thing fandom does sometimes. You know, the one where they fetishize m/m relationships to the point where the characters involved in said ship don't get to have any sort of feeling beyond the other person involved in that ship? They become objects, not people with motivations beyond love interests. I don't know about this blog's audience's demographics when it comes to interactions with fandom (actually, frankly beyond YAY BOOKS, I know nothing about this blog's demographics! I'm sorry, humans.) but personally I've lived through watching a lot of the fallout of Bad Fandom Decisions from uh...a long time ago. We'll go with pre-Livejournal and leave it at that. Reading this book, to me felt a lot like what was about to be a Real (fictional) World Bad Fandom Decision. Maybe the ship that MC and his sudden surprise posse want happens. Maybe it doesn't. I don't know. What I do know is that beyond the objectification/fetishization of a homosexual relationship, a lot of the writing just felt like fanfic. Not only that but there was a variation on fic within fic here. A few pages of the text are devoted to a comic someone submits to the school paper, and while it's pretty cool in concept there's uh...something lacking. The debate that follows the comic submission about whether to include it or not is mostly about content. My issue wasn't so much the content as it was the presentation of these pages. They were sketchy pencils nowhere near complete and with so many scribbles there were points that it was honestly hard to tell what exactly was going on. This would be fine for a general proposal, however, it'd been made pretty clear that the drop dead date for getting into the paper was upon them, and there'd be no time for revisions. It was just...rough. Beyond that, there's a lot of namedropping of various software and other random things that shouldn't matter. I'm sure this is just me being crotchety because I've spent way too much time the past three weeks pulling crunch-time things in InDesign that I just- I couldn't with this anymore. But hey, I'm glad to know that MC is privileged enough to afford either a Creative Cloud subscription or a fully functional copy of CS6 or that the school district has provided this for him, which is entirely possible, but it does also seem like this is the MC's personal laptop and not a school thing. The point is, my escape from layout work turned into a reminder that I needed to get back to layout work. Crotchety Old Man Reg or not, I just couldn't finish this book. Maybe you'd like it. Maybe you wouldn't. 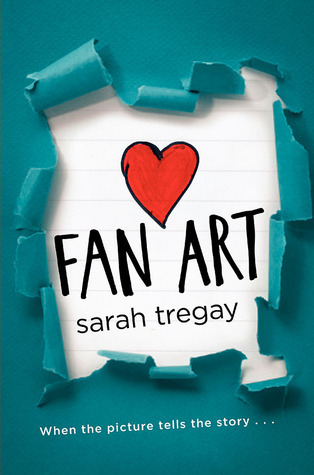 This book really does strike me as something written by fandom for fandom and even though I've been part of fandom for a very, very long time I just wasn't interested in the attempt to be catered to. Sorry, folks. I'm just not shipping it.